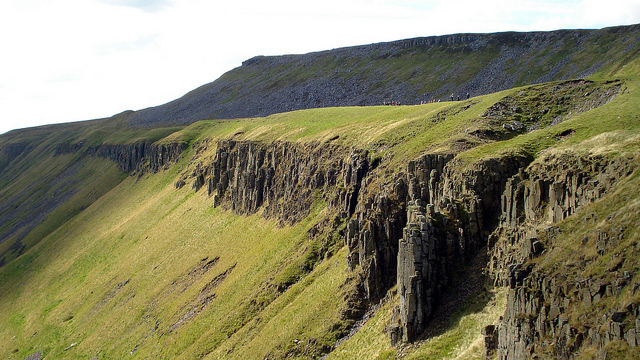 A popular walk along the Pennine Way on the western slopes of the Northern Pennines takes participants to High Cup Nick, an interesting geological formation at the head of a valley called High Cup Gill where once a huge glacier was found. The dramatic valley owes its existence to the presence of a layer of hard, dark, igneous rock known as Whin Sill - formed nearly 300 million years ago - and is the result of erosion at the edge of the Sill. No no no no no! Don't tell people about it! It was our SECRET!!! !